Rebecca Patterson Przychodzien Obituary - Honey Brook, Pennsylvania - R.T. Foard Funeral Home, P.A. 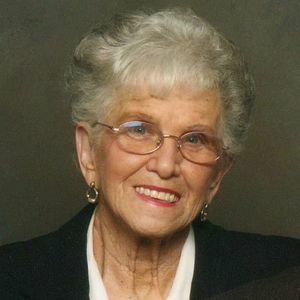 Rebecca Ann Patterson Przychodzien, age 88, of Honey Brook, PA., went to be with her Lord on April 8, 2019, surrounded by family. Ann was born on August 19, 1930, on S. Chapel St., Newark, DE., to her parents Frank E. Johnson and Edna M. Windle of Kirkwood, DE., and spent her childhood years working on the family farm. She graduated from Conrad High School in Wilmington, DE., where she was involved in sports and the 4-H club, and was an excellent bowler for many years with some of her Avon co-workers. It was during a 4-H competition, that she met and eventually married in 1952, Marvin Patterson, which resulted in the birth of 7 children in their 21 year union. In 1989, she married Joseph Przychodzien, and on April 9th, they would have celebrated 30 years of marriage. Ann worked at Continental Fiber Co., in Newark after graduation, was a data entry processor for Avon in Newark, DE., and retired as a purchasing clerk for the PA. Veterans Hospital in Coatesville, PA.. Her favorite pastimes of reading, traveling and spending summers in Fenwick Island were diminished by her loss of eyesight and dementia in the last 5 years. She overcame so many health issues in her lifetime and always continued to fight with the utmost perseverance. In addition to her parents, she is preceded in death by her brothers, Robert Johnson and Charles Hudson. She is survived by her only sister, Helen George of Odessa, DE., and brother George Hudson of Smyrna, DE., her children, Patti Patterson, Susan Lynch (Alan), Nancy Betts (fiancé Hank), Robert Patterson (Ken), Richard Patterson, J. Samuel Patterson (Cathy), Amy Verbonitz (Michael), 6 grandchildren and 6 great grandchildren, nephews and nieces. For her union with Joseph, she is also survived by daughters, Dawn Przychodzien (Beth), and Sheila Davis, grandsons Nick and Steve, and great grandchildren. As the matriarch of the family for many years, she will be sadly missed by all who loved her, including her special cat, Friday. Friends and family may call at R.T. Foard Funeral Home at 259 E. Main Street, Elkton, MD. 21921 on Thursday, April 11th from 6:00-8:00 pm. A short service will follow. In lieu of flowers, donations may be made payable to "Seasons Hospice & Palliative Care" and send in care of the funeral home. Add your thoughts, prayers or a condolence to Rebecca's guestbook. In lieu of flowers, donations may be made payable to "Seasons Hospice & Palliative Care" and send in care of the funeral home. Please enhance this tribute to Ann by adding your memories and photos.